This post is sponsored by Bertolli. Baked Goat Cheese with Caramelized Onions is an easy to make appetizer that features soft goat cheese baked alongside Bertolli Riserva Sauce and topped with golden caramelized onions. A few years back, I discovered that I love goat cheese. My initial thought when I first came across it was, "Ooooooooh no, this lady's not eating cheese made from goat milk." It just seemed...odd. As time when on and my desire to try new foods grew, I finally decided to give it a go. Naturally, I fell in love with the tangy, creamy deliciousness. Now, goat cheese is a staple in our home and I like to pair it with all kinds of foods, from meat to veggies to sweets. Yes, even sweets. Goat cheese and honey? Yes, please. Goat cheese is the bomb. 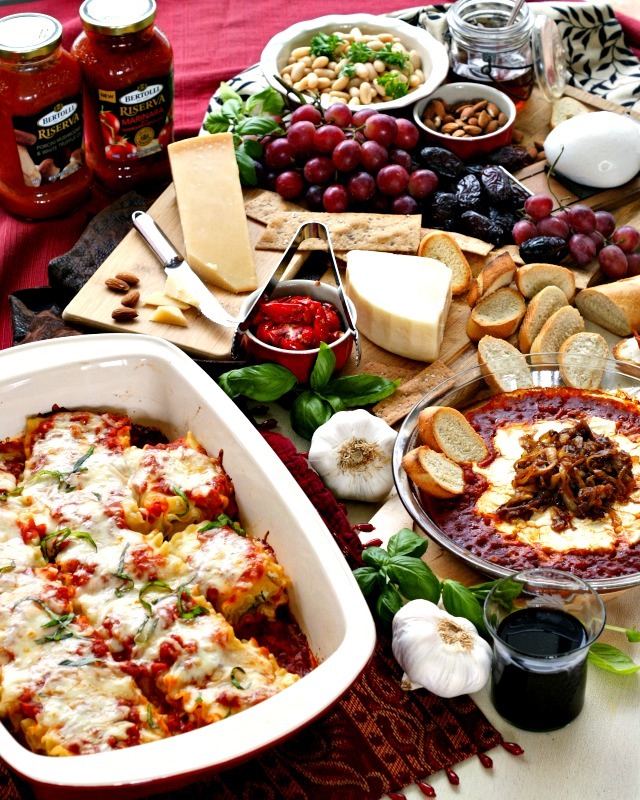 Lately, I've been mixing it up and incorporating goat cheese into my Italian dishes. 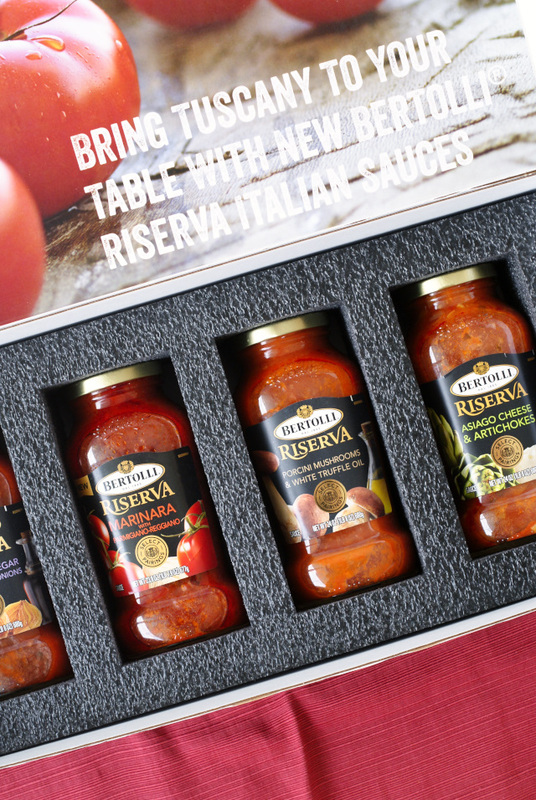 That's why, when the good folks at Bertolli asked if I'd like to try out the new line of Bertolli® Riserva Italian Sauces in honor of their 150th Anniversary, I knew right away I'd make a dish that included it! I was challenged to bring Tuscany to my table and share my creations using the hashtag #MyTuscanTable. I came up with three fabulously delicious Tuscan-inspired dishes to share! First, I created Asiago & Artichoke Lasagna Rolls. They were phenomenal! 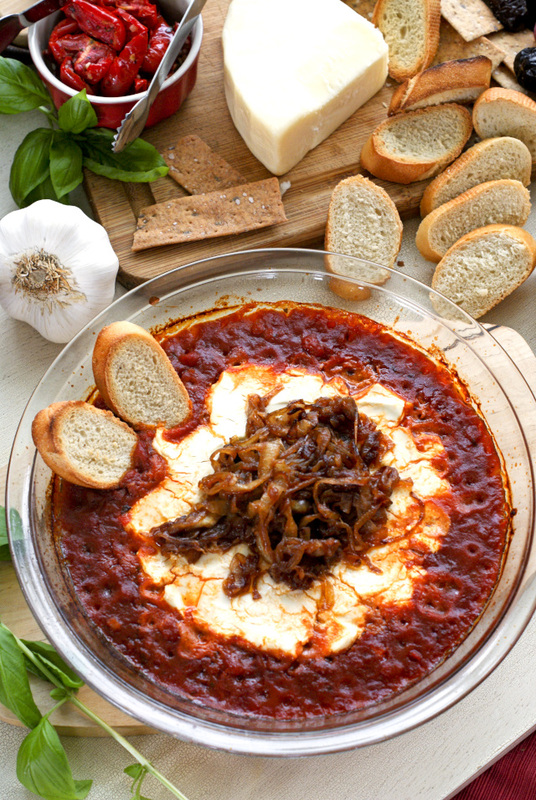 Next, I came up with this super easy to make Baked Goat Cheese appetizer inspired by the new Bertolli® Riserva Balsamic Vinegar & Caramelized Onions Sauce. It was so good! Be sure to stay tuned for my upcoming post on How to Make the Ultimate Cheese Board! Bertolli's 150th Anniversary celebration is centered around Tuscan inspired dishes, which is obviously amazing, but my favorite part of the festivities is that for each #MyTuscanTable share during the month of October, Bertolli will donate funds to help No Kid Hungry feed kids in need 10 healthy meals, with a minimum donation of half a million meals! I am a proud No Kid Hungry Blogger and I am thrilled to be able to create delectable dishes for Bertolli's Anniversary while supporting No Kid Hungry at the same time. If you love goat cheese as much as I do, be sure to try this delish appetizer at your next party! I know you'll be glad you did! Meanwhile, preheat your oven to 375 degrees. Spread the goat cheese into the bottom of a shallow dish, leaving space around the outside edge for the sauce. Pour the sauce around the goat cheese. Bake in the preheated oven for 15- 20 minutes. Top with the caramelized onions and serve with the toasted baguette slices. This post is sponsored by Bertolli. All thoughts and opinions are, as always, 100% my own. Caramelized onions AND goat cheese?? I am in love with this recipe :) All of my favorite things in one!